At what point will higher mortgage rates take a bite out of residential real estate prices? By looking at a few charts, you will notice that it may already be happening. Here is a quick look at the trend in mortgage rates over the past five years. The 30-year conforming mortgage rate as per Freddie Mac climbed to 4.72% last week (not including fees and closing costs). This is a level that we haven’t seen since the financial crisis. Although these are still low rates, they will eventually start to impact real estate prices if they continue to climb. As housing affordability shrinks, don’t forget the risky mortgage loans that created the last crisis. Residential inventory is still in good shape as we move into the fourth quarter of 2018. 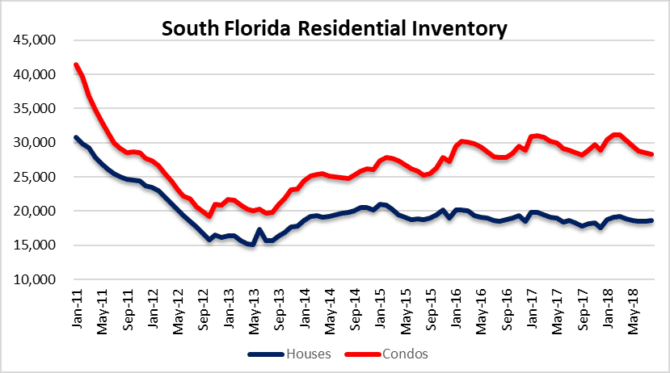 As of August there were 18,662 houses and 28,267 condo properties listed for a total of 46,929 available properties in South Florida. If transaction volume declines due to higher rates, you will see inventory numbers start to climb higher. You may already be seeing listings sitting on the market for extended periods. The next phase will be a gradual build in residential inventory. This last chart goes back to 2011 when the South Florida market was flooded with foreclosures. Some of the REO inventory was sold, while a large share of bank properties were removed from the market due to the robo-signing litigation that started in late 2010. 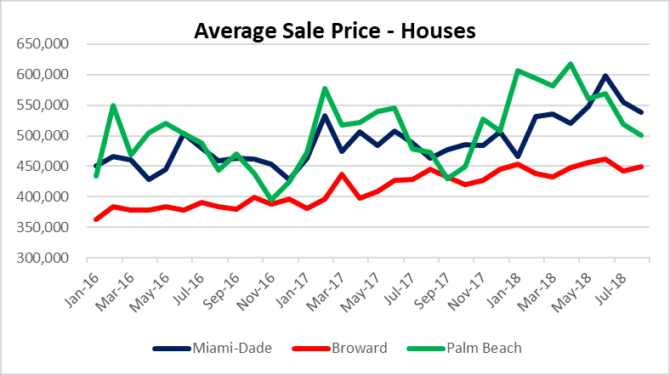 What’s crazy is that South Florida still has thousands of properties that have been in various stages of foreclosure since the crisis and will eventually reach the market after years of delay. 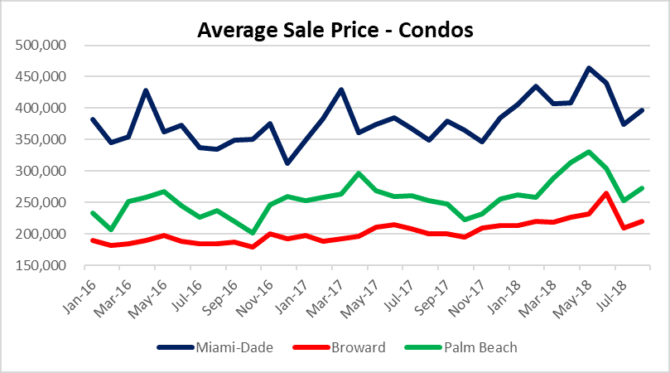 This entry was posted in Fort Lauderdale real estate, Market Insight, Miami real estate, Mortgage rates, Palm Beach real estate, South Florida Real Estate and tagged Fort Lauderdale real estate, Miami real estate, Palm Beach real estate. Bookmark the permalink. Both comments and trackbacks are currently closed.